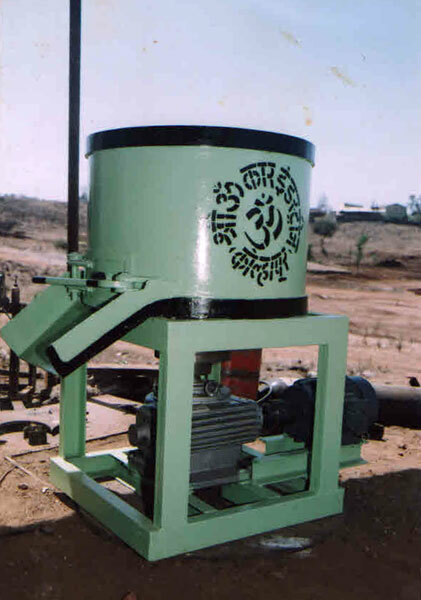 The company has established itself as a highly efficient Manufacturer and Supplier of Sand Mullers in Kolhapur. The Sand Mullers, offered by the company, are manufactured using the best grade raw materials. The company offers a quality assured range of the Sand Mullers to the clients based in various parts of the country. These Sand Mullers have suitable motor and gearbox and are provided with stainless steel sheet lining inside the main shell. For a long life, all the Sand Mullers have scraper brazed with carbide tips at the bottom. The Sand Mullers are available with or without aerators. Accessories : Sand Aerator, which is attached below the door, where the sand drops on the rotor blades to aerate sand. It is of fabricated closed box.